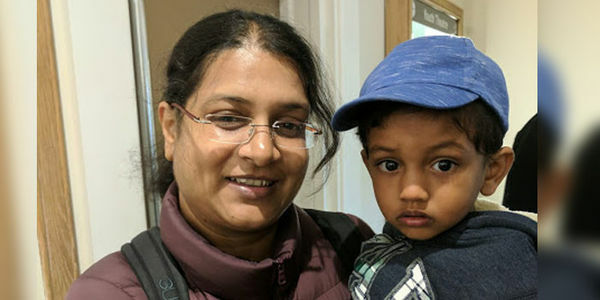 Niru (pictured): "When my son started at Overland Nursery (after being on the waiting list for 6 months), my son was not talking, but with the specialist help he has made huge progress with his speech and language. Early intervention in his case has made a massive difference. I'm very concerned about all the children who may fall through the cracks, and won't get this early intervention, if the nursery closes. If my son hadn't been at Overland I don't think he would have received this specialist support and hence made so much progress." Tower Hamlets Council is undertaking a public consultation on whether to close, on a phased basis, the three remaining Local Authority Day Nurseries (LADNs) - John Smiths, Mary Sambrook and Overland Nurseries, including the specialist deaf unit. Despite a large waiting list, for months council managers have blocked new admissions and have been running down the nurseries by stealth resulting in inflated running costs. They are now trying to use this to justify closure. We oppose closure of the LADNs and call on the Mayor and Tower Hamlets Council to keep this valuable and in-demand community resource open and under council control. We call on the council to undertake a comprehensive review on how the LADNs are being managed and to develop a plan to ensure their viability. Do you know anybody who lives in Tower Hamlets, London? We really need more local signatures so please ask all of your friends who live in Tower Hamlets, or know people who do, to sign and share this petition. Thanks so much!